Without a doubt, living in a rig forces travelers into the closest possible quarters. 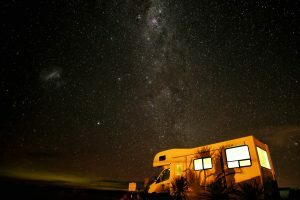 Whether it be with a partner or an entire family, there isn’t much room for personal time or space while living in an RV. Valentine’s Day is the perfect time to take a step back, reevaluate, and appreciate the immense amount of time you are able to spend with your clan. 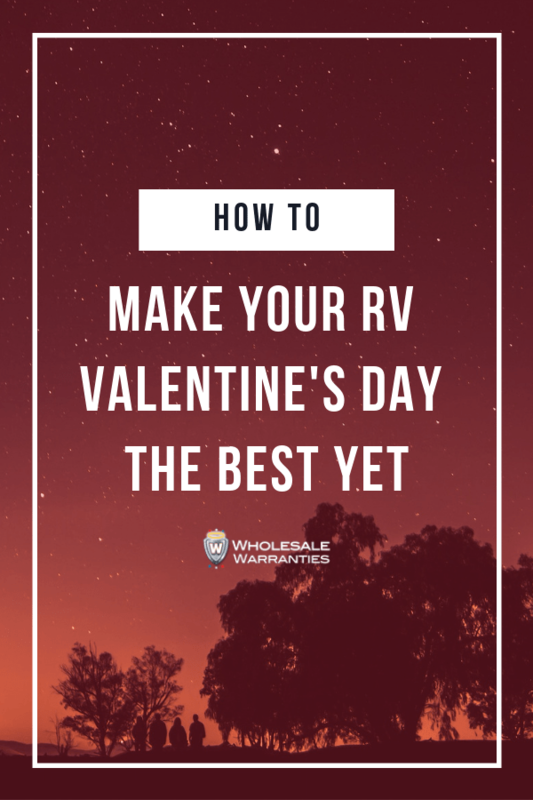 Romance yourself, your partner, or express how much you love your family this February 14th with these tips to make your Valentine’s Day in your RV the best yet. It’s hard not to feel love in the air when you’re surrounded by gorgeous views, a peaceful atmosphere, and loved ones. Sedona is the perfect setting to shout your love from the rooftops – or red rock tops. With its sprawling sandstone views and world-class spas, it’s hard to go wrong in this breathtaking location. 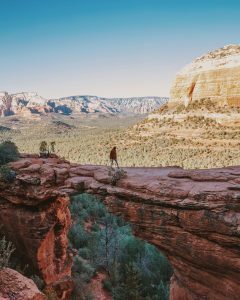 There are countless acclaimed hiking trails in Sedona. Whether you’re trekking to an energy vortex or landmarks such as Cathedral Rock and Devil’s Bridge, there’s no shortage of paths to take. Spend your morning in mother nature and by mid-afternoon, relax and let someone else do the driving for once. Head out on an off-roading adventure with Pink Jeep Tours or go wine tasting in one of the small production wineries that are sprinkled throughout the area. Sedona is the RV getaway that will be sure to spark some romance. Show your loved ones your best side. Although you’re not completely roughing it while camping in an RV, your home-on-wheels definitely doesn’t house all of the creature comforts a sticks and bricks home boasts. Spend an extra few minutes freshening up for the occasion, and take advantage of a campground shower! Throw on that pair of earrings or button down you never wear and explore the surrounding city hand-and-hand with your companion. Take a stroll down the gentle river at the Enchantment Resort and head back early for your special meal (see #3)! Avoid the crowded restaurants by making your special someone, or yourself, their favorite meal in your home-on-wheels. Skip the impossible reservations and overflowing restaurants this V-Day and make your sweetheart feel extra special. Creating a fantastic meal in a tiny environment might be the ultimate sign of true love. Toiling away at a microscopic one-burner stove in your motorhome to make a meal for your Romeo (or Juliet) will go a long way to reignite the spark. Is there a dish that hasn’t been cooked in your camper recently? Create a savory course and then add some flair with a chocolate-y dessert. Try one of these campfire confections that feature some gooey treats! Top it all off with a fun and festive place setting for a perfectly memorable meal. Don’t worry, you can still take your loved one(s) out for a nice dinner! Make reservations for the day after Valentine’s and see if there are still any tasty set menus left to try. Hold the crowds, extra discounts! Nothing says romance quite like naming a constellation after your beau. Now that you’ve picked an amazing destination (see #1), dressed up, and eaten a fantastic meal, it’s time to top off your evening with the gleam from the night sky. Sedona is one of only 20 certified Dark Sky Communities in the world. This means that the city has “shown exceptional dedication to the preservation of the night sky through the implementation and enforcement of a quality outdoor lighting ordinance, dark sky education and citizen support of dark skies” according to the International Dark-Sky Association. Arizona typically has amazing weather year-round with the exception of monsoon season July through August. This means that the stars will be unobstructed for a perfect night cuddling with your beloved. Make sure you venture out early enough so your eyes have time to adjust to the night sky at your location of choice. 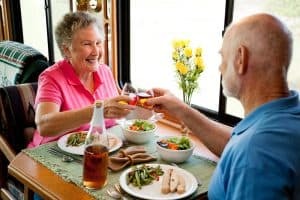 For a bit of extra fun, bring the bottle of wine you purchased at the local winery earlier in the day and enjoy each other’s company while reflecting on some of the best moments of your RV adventure. The options to celebrate Valentine’s Day in your rig are endless when you can go anywhere and see anything. Although there is beauty in infinite opportunity, it can make devising extra special trips a challenge. Let us do the planning for your day of love this year so you can enjoy the company of those who matter most; whether you’re spending it as a fantastic solo RVer, RVing family, or RVing couple.